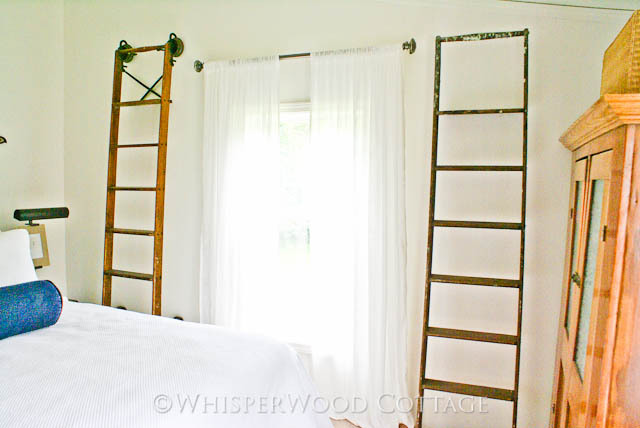 While we're on the subject of the guest bedroom, I have another new addition to tell you about! 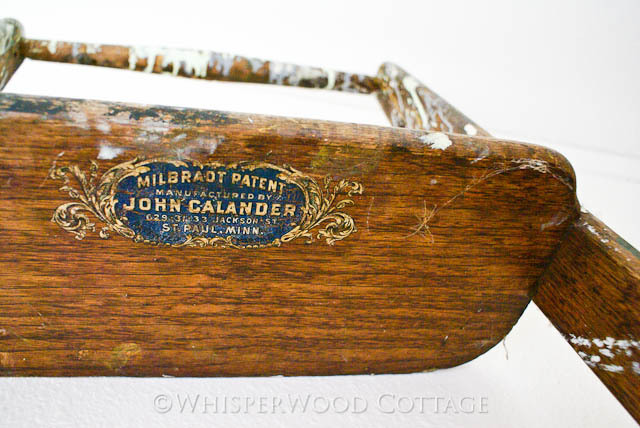 This Milbradt Patent library ladder, obviously used as someone's paint ladder (shock!) came home with me from an auction a few months ago. A local antique store was closing and had an auction to clear out tons of stuff. Lucky! I don't even have one and you have two? And I used to be a librarian! 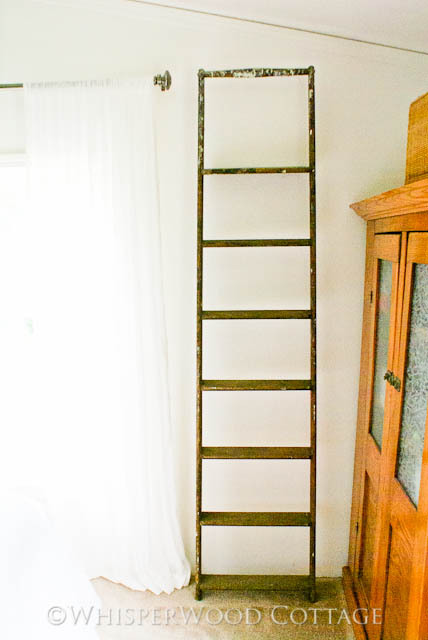 Your ladders are fantastic and I am drooling over your Greyhound. THAT is phenomenal! Where did you find that gem? Those are very very cool!! I love your blog and all your decorating ideas. 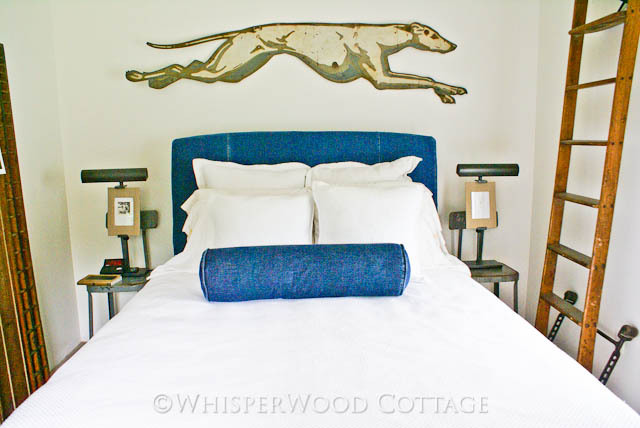 My brother and sister-in-law have adopted a few greyhounds, I know they would love what you did with the room!